Let’s go and visit the scenic nature paradise in northeast Taiwan. Yilan, a beautiful county, is a very popular sightseeing spot in northeast Taiwan and also named garden in Taipei backyard. 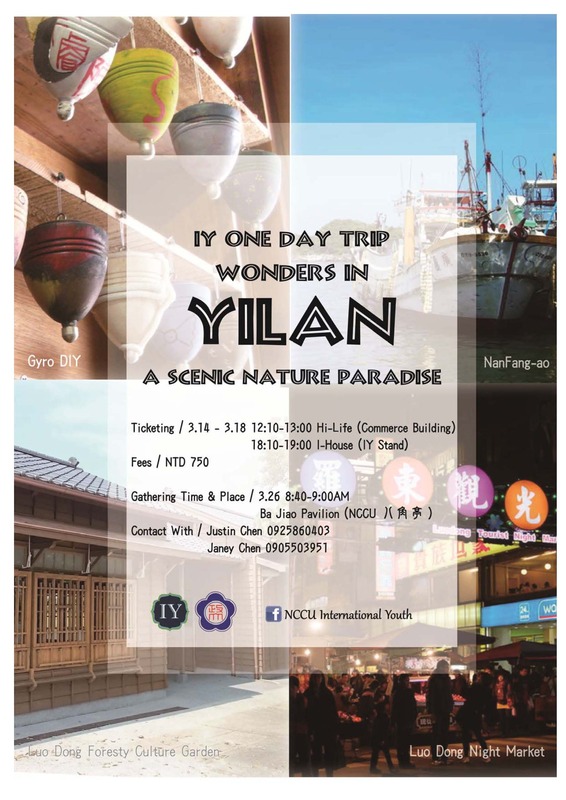 International Youth (IY) holds a One-day Trip to Yilan on March 26. We are going to visit forest bathing Luodong Forestry Culture Garden, enjoy the real life culture National Center of Traditional Arts, and taste famous mouth-watering Taiwan snacks at Luodong Night Market.